As March Madness approached, the recent revelations that NCAA basketball might not be the purest athletic athletic endeavor on the planet shocked nobody. Nobody, that is, except the most blinkered and naive. The initial reaction wasn’t outrage as much as it was a collective shrug of shoulders, at least about the basketball aspect, before getting to the issue of whether the FBI should have been dealing with issues of more importance. Beyond that, the discussion often turned to the phenomenon of “one and done” in college basketball. The zeal to land those difference-making prep phenoms who likely will have the opportunity to declare themselves eligible for the NBA draft after one season often is at the heart of the excess. Some AAU coaches and agents also act as the, well, tour guides. I’ve covered both the major college and pro games, in both basketball and hockey. It’s interesting — and many of the college game’s defenders have pointed this out — that one and done isn’t limited to NCAA basketball. It happens in NCAA hockey, too. 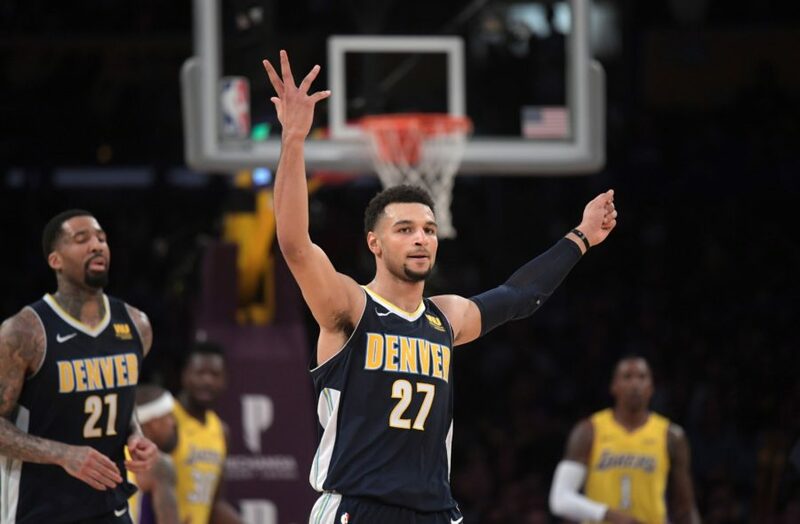 In fact, as the Nuggets and Avalanche both seek to secure playoff berths, there are five players on the Kroenke Sports rosters who were first-round draft choices, played one collegiate season and then walked away from the campus and turned pro. Three of them are Nuggets — Jamal Murray and Trey Lyles, both of Kentucky, and Malik Beasley of Florida State. Two are Avs — Erik Johnson of the Minnesota Gophers and Tyson Jost from North Dakota. It gets a bit complicated in the hockey system, since players who end up in college hockey for at least a year deliberately have avoided major junior hockey, which the NCAA considers toxic to eligibility because of the stipends involved. (I won’t even begin to get into the hypocrisy involved there.) Major junior still is the top North American feeder to pro hockey, but NCAA hockey is a close second — with the additional educational and lifestyle advantages over the frequently exploitative major junior game. This doesn’t really have much to do with the one-and-done point, but it’s at least interesting. . . or ironic. Three of Denver’s five are Canadian-born, and two of those three (Murray and Lyles) are on the Nuggets. The difference is what makes the NHL system so much more pragmatic and, in my opinion, better. Hockey fans, bear with me. . . if you’re still here. This isn’t meant to be remedial, but a comparison. What I’m about to outline is the general system, and there are exceptions and loopholes I’m not going to explain in disclaimer small print or fast speech. Johnson and Jost played their single collegiate seasons after they were drafted — Johnson by the St. Louis Blues as the first overall choice in 2006, and Jost by the Avalanche at No. 10 overall in 2016. If they had stayed one or two additional seasons, the NHL teams would have retained their rights. Those freshman seasons were viewed by all, including the Blues and Avalanche, as part of the development process. The NHL initial draft age is 17 or 18, depending on the specific birthdate, regardless of where the prospects are playing. And that can run the gamut from the major junior, junior, NCAA or European games. Only the most elite of the picks sign and go straight to the NHL. That was the case with Colorado choices and current Avalanche players Nathan MacKinnon and Swedish captain Gabe Landeskog, who both played major junior. Otherwise, it’s draft, watch and wait as draft choices generally stay where they are or progress in the hockey development chain. 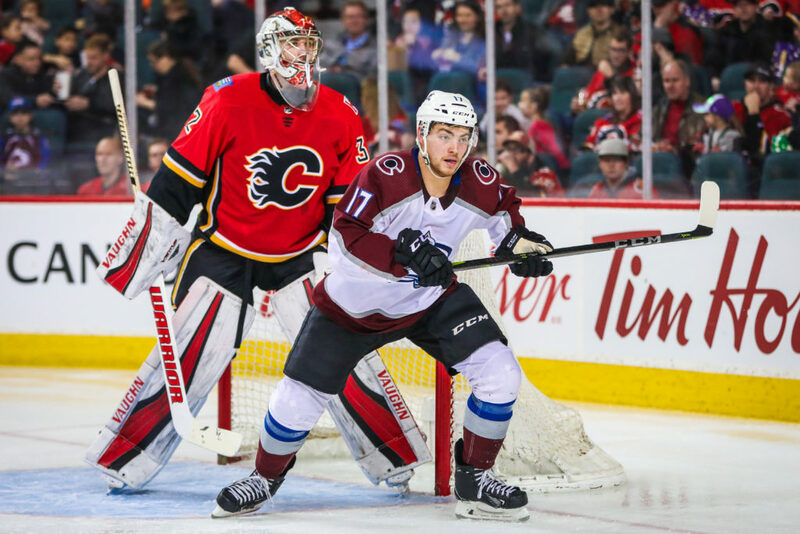 Examples: Jost was coming off two full seasons with the Penticton Vees of the British Columbia (junior) Hockey League when the Avalanche drafted him, and then he moved on to the college game for one season. Colorado’s 2017 first-rounder, at number 4 overall, was defenseman Cale Makar, and he had been in junior with the Brooks Bandits of the Alberta Hockey League for two seasons before the Avs claimed his rights. As expected, this season he played as a freshman for Massachusetts, and that was fine with the Avs. When or if a prospect is deemed ready (or inclined) to sign — and that can be at any point of the collegiate stay — he signs. While prospects are playing in college, schools openly and proudly display which NHL teams have drafted their players. NHL executives and scouts are in the press box and outside the locker room after the games, checking out and touching base with their draft choices and also checking out the draft-eligible or undrafted players on the ice. DU, the defending NCAA champion, for example, lists the handful of Pioneers who have been drafted, including Olympian Troy Terry (Anaheim), Henrik Borgstrom (Florida) and Dylan Gambrell (San Jose). In light of the NCAA’s apparent horror when basketball players prematurely deal with agents, it’s hilarious to note that NCAA hockey standouts have “advisors” — and, in an amazing coincidence, those “advisors” happen to be agents. That’s farcical, but an accommodation to reality. The catch is that NHL draft choices who play full four-year careers become unrestricted free agents if they haven’t signed by August 15 after their senior seasons. That’s how the Avs lost the rights to DU’s star defenseman Will Butcher, but recovered by signing seniors Alexander Kerfoot (drafted by New Jersey) and Dominic Toninato (drafted by Toronto). With high school seniors unable to enter the draft, and with one year of college ball (or the equivalent wait) required, the NBA actually wasn’t as noble in going along as it was embracing a way of better evaluating elite young talent against better competition — for at least a year. Evaluating phenoms playing against Buchanan High is riskier than scouting them against Villanova. Here’s how to get the best of both worlds: Emulate the NHL system and make the initial universal NBA draft age 18 while adding rounds, if feasible. So, as you’re watching March Madness, you’re being reminded which NBA teams own the rights to the top players. The most savvy organizations would thrive in this scouting challenge. It’s unseemly that the NBA is getting involved in the high school game? Too bad. Absolutely, the most elite would turn pro on the spot and never play a second of college ball. And there’s nothing wrong with it. In any endeavor. If you’re ready to make a living, fine. Whether you’re a painter, singer, writer, actor or a basketball player. In basketball, it’s a better system than what we have now. Just for fun, here’s how the college careers break down for the Nuggets and Avalanche. 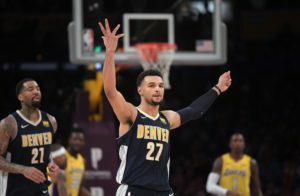 Fifteen of the 17 on the Nuggets organizational roster played college ball. Nikola Jokic and Juan Hernangomez came from the European game. Ten of the 25 on the Avalanche roster played NCAA hockey. The others came from the European game or major junior — or both. Denver-based journalist Terry Frei writes two commentaries a week for Mile High Sports. He has been named a state’s sports writer of the year seven times, four times in Colorado (including for 2016) and three times in Oregon. He’s the author of seven books, including “March 1939: Before the Madness,” about the first NCAA basketball tournament and its champions; and “’77: Denver, the Broncos, and a Coming of Age.” His web site is terryfrei.com and his additional “On the Colorado Scene” commentaries are at terryfrei/oncolorado.